The man President-elect Donald Trump has reportedly picked to run the Pentagon may not be able to accept the job without a little Congressional help. Trump has tapped retired Marine Gen. James Mattis to serve as secretary of defense, The Washington Post reported on Thursday. 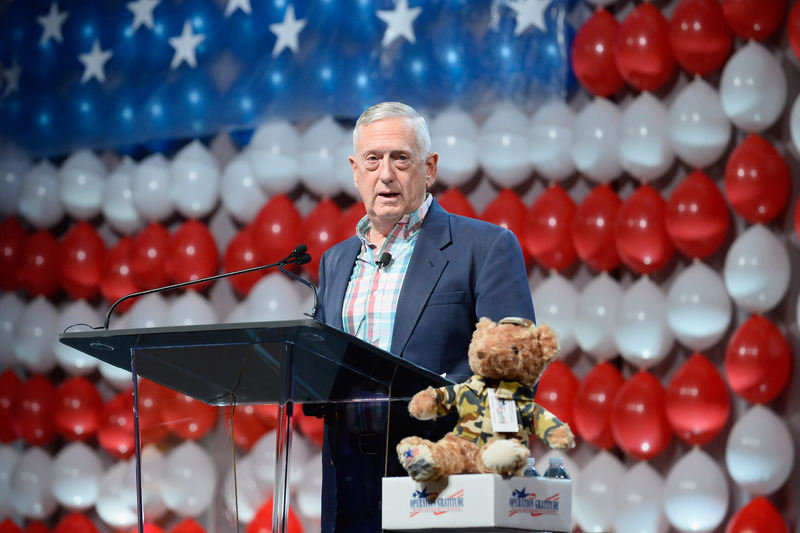 But as a senior military officer on active duty less than four years ago, Gen. Mattis will not be eligible for the position unless Congress passes new legislation to change a federal law requiring defense secretaries to be seven years removed from active duty. Update: At a rally on Thursday evening, Trump confirmed he would nominate Mattis to the position. Mattis' nomination has not been confirmed by Trump's transition team, although unnamed sources reportedly told both The Post and CNN that an official announcement would likely come early next week. Trump's transition team spokesman Jason Miller, however, tweeted Thursday that, "No decision has been made yet with regard to Secretary of Defense." While reports of the nomination are unconfirmed, Trump appeared to have been impressed with Gen. Mattis when the two men met Nov. 19 and discussed, among other things, waterboarding, an interrogation technique Trump has previously said he wanted to reinstate. "Mattis is a strong, highly dignified man," Trump told The New York Times after the meeting. In a tweet published to Trump's official Twitter account, the president-elect said he thought Mattis was "impressive" and "a true General's General!" At 66 years old, Gen. Mattis' military career reportedly spanned 44 years, according to CNN. He is considered to be an experienced military strategist with combat experience in both Iraq and Afghanistan. He has been recognized for his leadership during the Battle of Fallujah in Iraq in 2004. In 2001, he led a Marine task force in the Kandahar province of Afghanistan, which enabled the U.S. to gain a new foothold against the Taliban. In 2010, Gen. Mattis was named chief of Central Command, replacing David Petraeus to oversee military operations in the Middle East. He retired in 2013. But Mattis is not without controversy. In 2005, it was reported he told service members in San Diego, "it's fun to shoot some people" while speaking to the Armed Forces Communications and Electronics Association. "You go into Afghanistan, you got guys who slap women around for five years because they didn't wear a veil," CNN reported Mattis continued to say. "You know, guys like that ain't got no manhood left anyway. So it's a hell of a lot of fun to shoot them." Should Trump officially nominate Mattis, his appointment would require Congress to quickly issue legislation to skirt a federal statute barring members of the military from serving as secretary of Defense within seven years of leaving active duty. According to The Post, Mattis would not be the first secretary of Defense nominee to receive such a waiver, as a similar exception was issued to Gen. George C. Marshall in 1950.